Your 42nd District Family welcomes you back to Weekly Updates of your 2019 State Legislature! We have thought of each of you and prayed for wonderful, heartwarming times with family and loved ones, and we prayed for your peace and blessings in these times of confusion and upheaval. It is my good fortune to reconnect with you. It's time to get to work, but first, let me give you some updates. I knew it would be a fall season like no other when Mom began her journey to the Spirit World in July. Thank you all for your kindness and care you've given us. Now, visiting her and Dad at the Fort Knox Veterans Cemetery leaves me happy, knowing they are together again. My GrandTeen changed schools and has made straight As in the AP Program. She also was selected to the All-County Orchestra playing an instrument nearly twice as tall as she is. My hardheaded partner, Spirit--you may remember my search for him back in the spring--is growing into a big boy--still hardheaded, though. All in all, we are being so blessed. Thanksgiving was unusually difficult. I helped feed and serve men at the YMCA. From there I went to the cemetery. I should have gone home. Christmas was a blur, as was New Years. Spirit and I headed out, spending time in the West Virginia and Maryland mountains. I had to laugh at myself....A man, his dog, and his pickup truck--there HAS to be a country song in there some place! We ended up in Gettysburg, Pennsylvania, walking those supposed hallowed grounds. I wanted to see if the Lincoln and the Goodwill Cemeteries remained in place. They were the final resting place for a number of U.S. Colored Troops killed in the fighting--STILL SEGREGATED from the National Cemetery where both U.S. and Confederate troops lay in rest....but I'm guessing Uncle Abe probably just overlooked that detail. I for one am happy to be back to work. New colleagues are filled with energy and anticipation. Some are recognizing they dove into a massive swamp of swarming, hungry predators anxious to get to know them--up close and personal. Rep. Jim Glenn of Owensboro won his General Election and had the Board of Elections in Daviess County certify those results after a recanvas. The losing party used a little known and rarely ever used process to appeal the certified election results directly to the House. The GOP took up this cause and are trying to rise again. Per the outlined procedure, the House has now formed a committee of nine (9), consisting of six (6) Republicans and three (3) Democrats, to render a minority and majority report on the winner in that race. Both parties have selected their leadership teams. Rep. Rocky Adkins remains our Minority Caucus Chair; Rep. Joni Jenkins is the Caucus Whip and Rep. Derrick Graham is our Caucus Chairman. This represents the most diverse and among the most experienced teams ever. All totaled, they represent 72 years of legislative experience and history. Among our brethren on the other side of the aisle, they have some issues brewing again with members of their caucus, again under fire for alleged sexual harassment. The KDP has issued calls for two GOP members to resign. Meanwhile back on the ranch: My thanks to all who have responded to our 2019 legislative survey. The survey covers a broad swath of potential issues we may address this session. It is designed to give me direct feedback on these issues so that I will have a good feel of where you stand on them. An early tally of results show: 77% of you do NOT support charter schools; and 80% of you do NOT support public funding for them; Right to Work is rejected by 73% of respondents; and 77% of you resist privatization of facilities and services; 87% agree gun safety and gun violence is a problem in our county that is worthy of state examination; 80% of respondents support expungement of felony records and 83% support medical cannabis legalization. More updates coming. SAVE THE DATE: TOWN HALL MEETING, 41ST, 42ND, 43RD HOUSE DISTRICTS OF REPS. SCOTT, BOOKER AND MEEKS. LINCOLN ELEMENTARY SCHOOL. THURSDAY, JANUARY 31, 6:00PM. - CALENDAR NOW AND SHARE! I WANT TO SHARE MY CONGRATULATIONS with the Louisville Airport Authority, its Board members and staff for taking a too long overdue step not only to put our airport in world conversation, but to realize the appropriate opportunity to honor The Greatest, Muhammad Ali, at the same time. We are all proud of this fateful decision and thank you for proudly representing Ali, his family and the community which raised him. As always, I need your feedback: You can reach me by writing to: Room 432 B, Capitol Annex, 702 Capitol Avenue, Frankfort, KY 40601, or by email to Reginald.Meeks@lrc.ky.gov. Be sure to check me out on Facebook and on Twitter. Also feel free to leave a message for me--or for any or all legislators--at 800-372-7181. For those with a hearing impairment, the number is 800-896-0305. These lines are staffed throughout this Regular Session. Please let me hear from you soon! 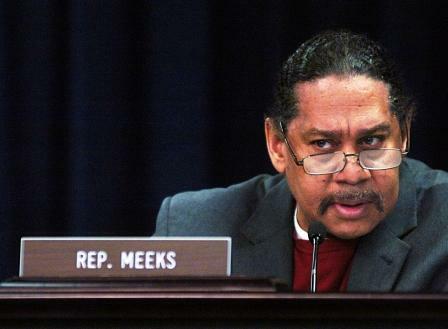 Editor's Note: Rep. Reginald Meeks serves as Kentucky House member for the 42nd District - a portion of Louisville.